Integral to any patent application is an illustration that serves as a visual representation of the invention and its inner workings. Established in 1790, the United States Patent and Trademark Office requires all such applications to be accompanied by patent drawings. 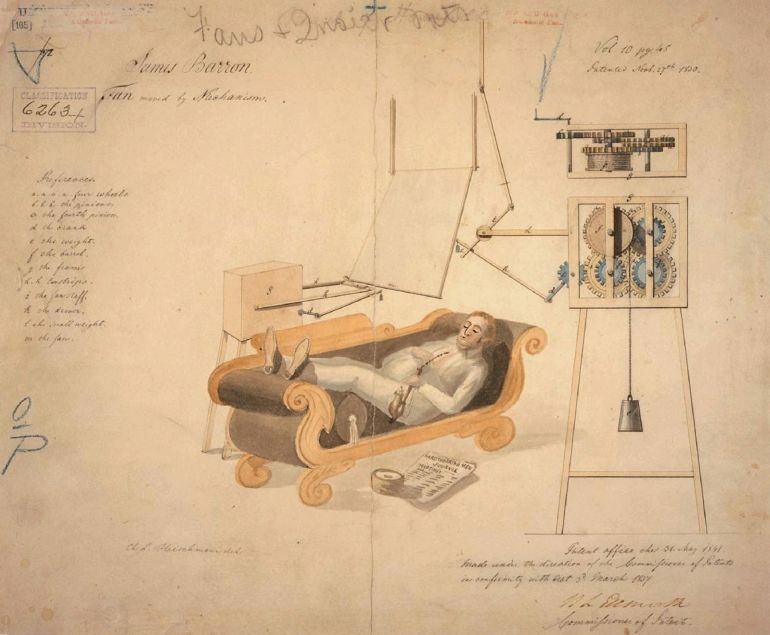 Between 1790 and 1880, innovators in the US actually had to submit miniature models of their inventions. Some of these blueprints and models still exist today, as a sort of reminder of mankind’s unending quest for knowledge. 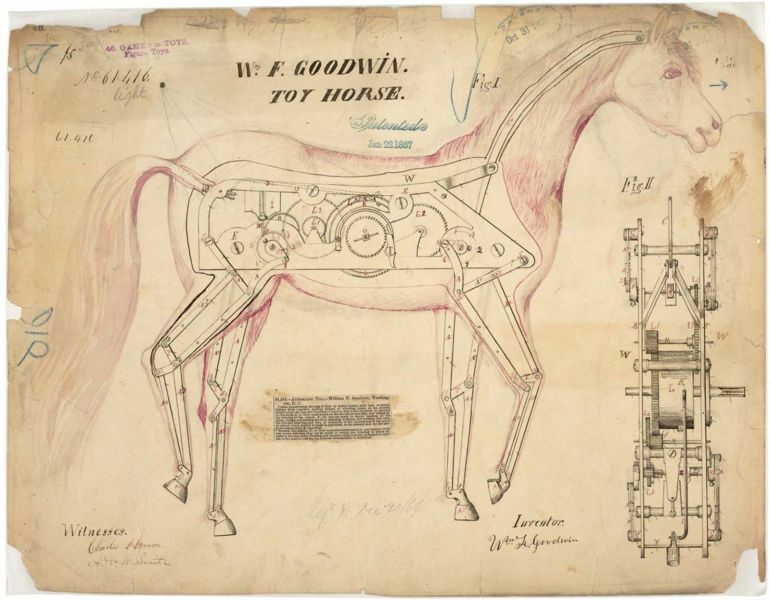 Unlike the drab, and somewhat indifferent, technical drawings of modern times, the richly-detailed and beautifully-colored patent artworks, of the past, perfectly showcased the inventor’s brilliance. Today, the bright colors, of the earlier patent illustrations, have been replaced with black and white ink, mainly for the sake of convenience and accuracy of depiction. 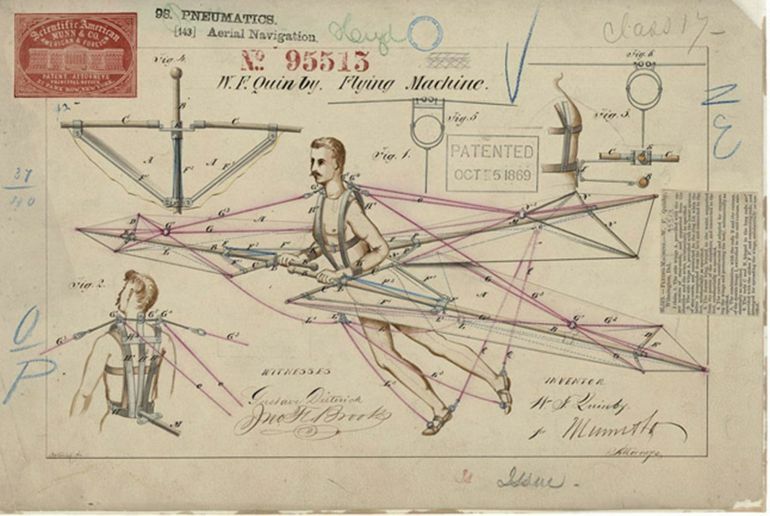 The patents were drawn to capture someone’s vision of the world, the pride they have in their invention. 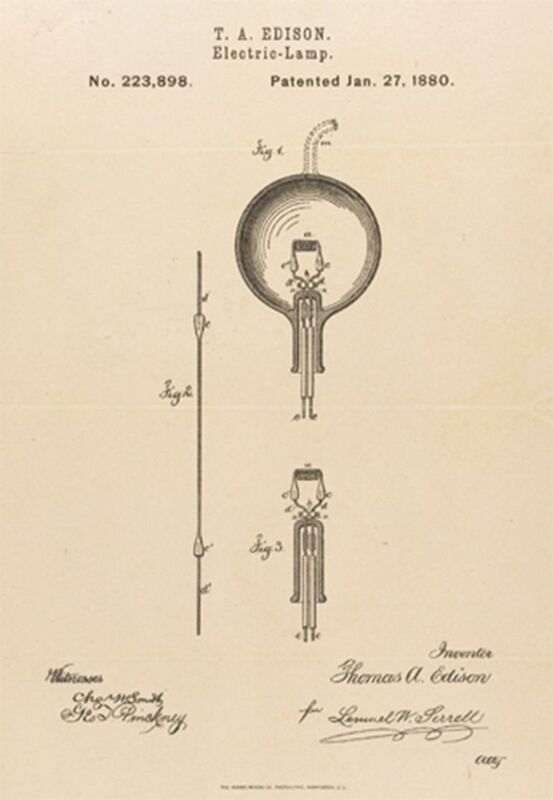 The patent drawing of Edison’s Light Bulb, dated January 27, 1880. 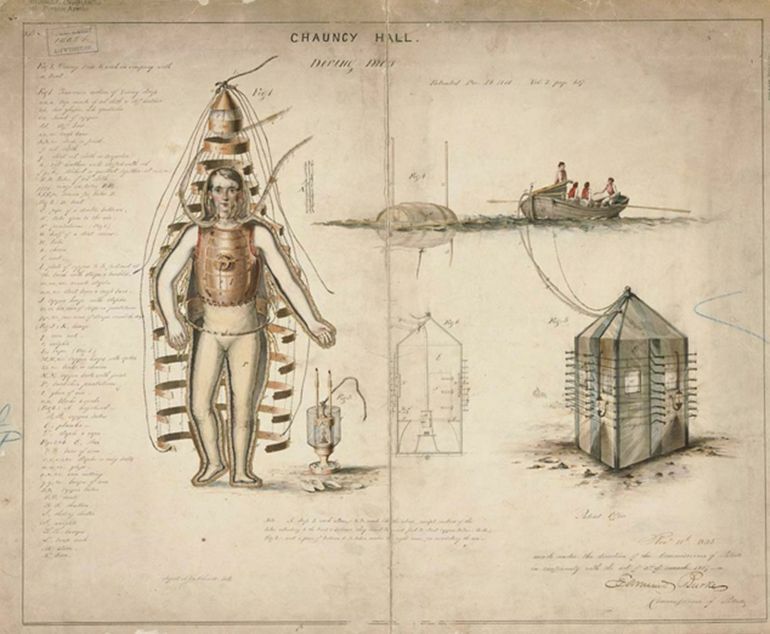 Patented in the early 1800s, this unusually-shaped diving dress was designed specially for underwater exploration. 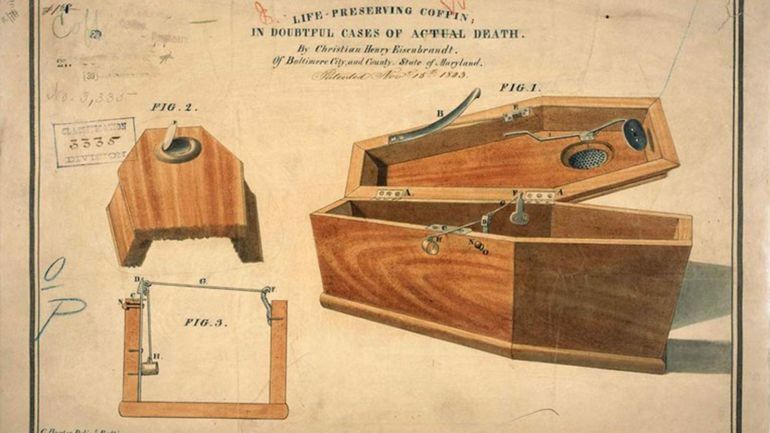 This “Life-Preserving Coffin” was designed to ensure that the person, about to be buried, was indeed dead. 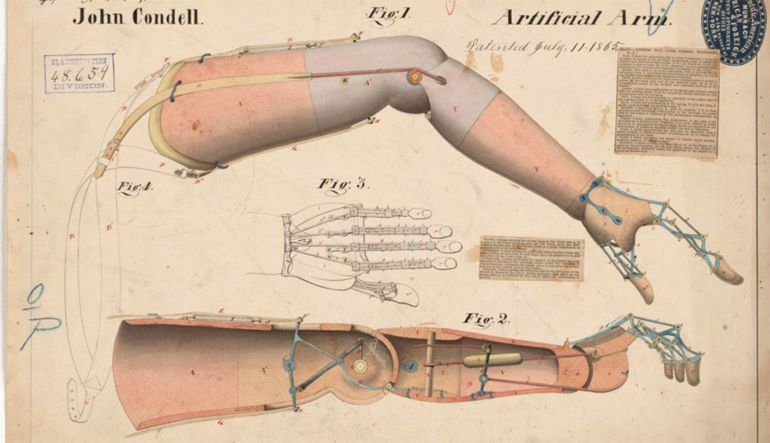 A prosthetic arm from the 1860s. This 1830s contraption seems to be a cross between the modern-day electric fan and the hand-held varities used during earlier times. 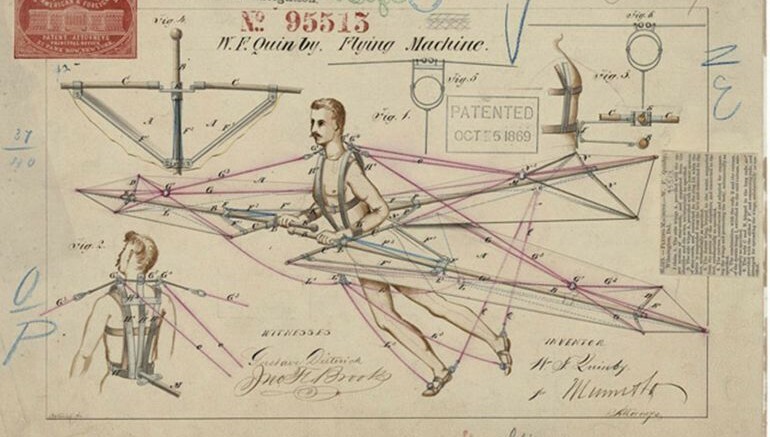 This 1860s invention is testimony to humanity’s long-standing fascination with flight. 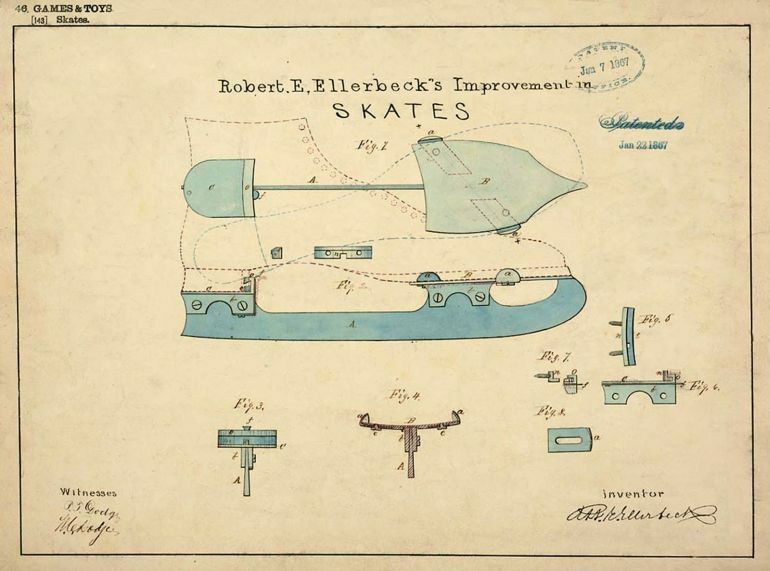 An earlier version of the modern-day ice skates. 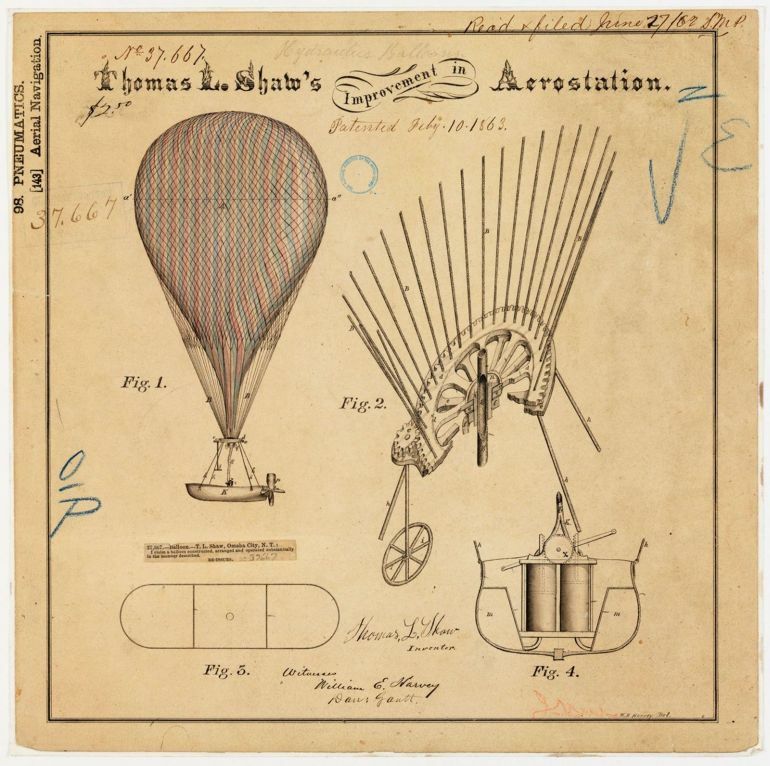 A brightly-colored sketch, of a flying machine, dating back to the year 1869.